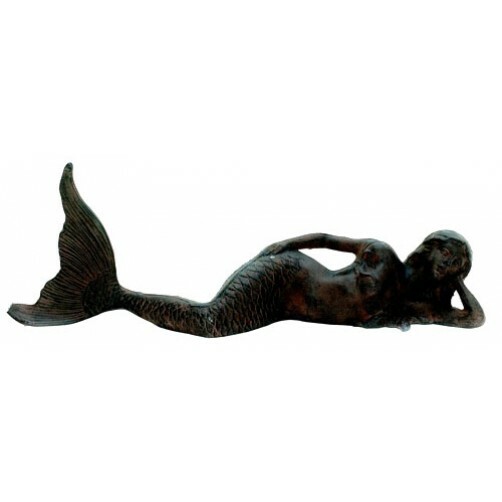 Large cast iron laying mermaid in a rust finish. The perfect nautical touch to your home. Display on a console table for a statement, in your garden or at your front door as a welcoming door stopper. Info: Ships out within 1-2 business days, direct from our store to you. If an item is temporarily out of stock, it will ship out approximately 1 week after you place your order.